If you look close enough you can just about spot me standing in the entrance to this awesome Apple Store inside the Toronto Eaton Centre, a huge shopping mall in Downtown Toronto. Yep, there I am, in the grey tshirt, standing awkwardly in everyone’s way. 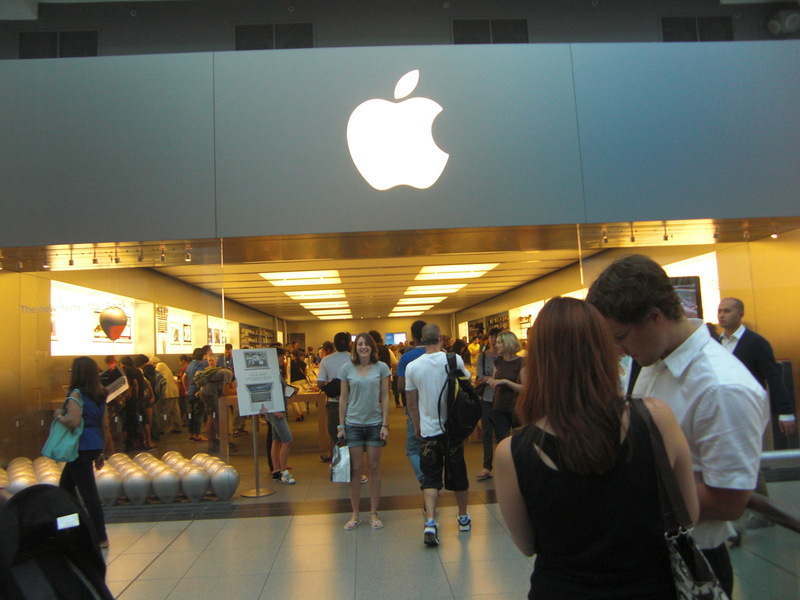 I massively enjoyed this Apple Store – I dont know whether it was my giddiness over finally being in Toronto, or my excitement for when I will finally be buying an iPad 2 in a couple of weeks (I just had to go inside and have another play! ), but when I walked inside, I just felt at home. I love that I can go almost anywhere in the world, and still find a haven amongst the madness. Begbie Tours…1st Stop – Toronto!